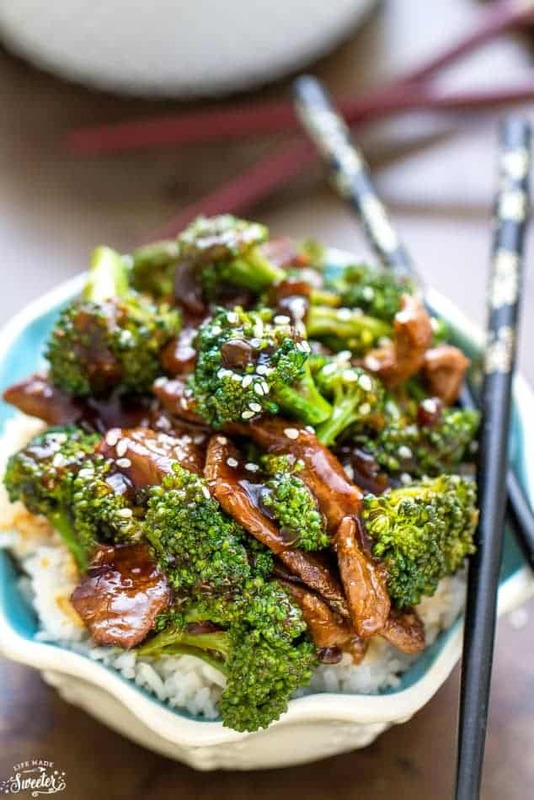 This healthier Beef and Broccoli is just as tasty as any takeout version. 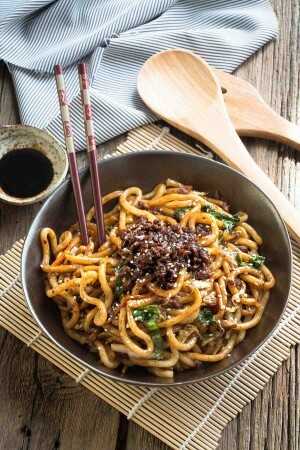 It’s totally skinny-jean friendly since we are using less oil, lower sodium soy sauce and a leaner cut of beef. 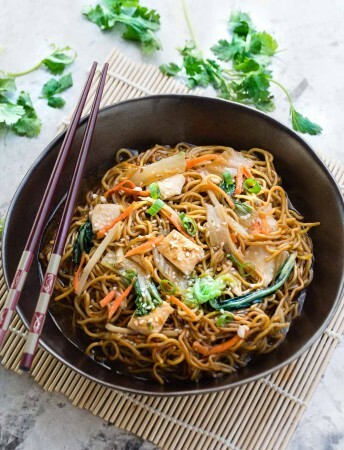 Plus, there’s also an option to make this gluten-free or paleo friendly if you are trying to incorporate more of those recipes into your diet. Divide into lunch containers (these are the ones I use —-> lunch containers) with your favorite carb – cauliflower rice, brown or white rice, quinoa or even noodles! 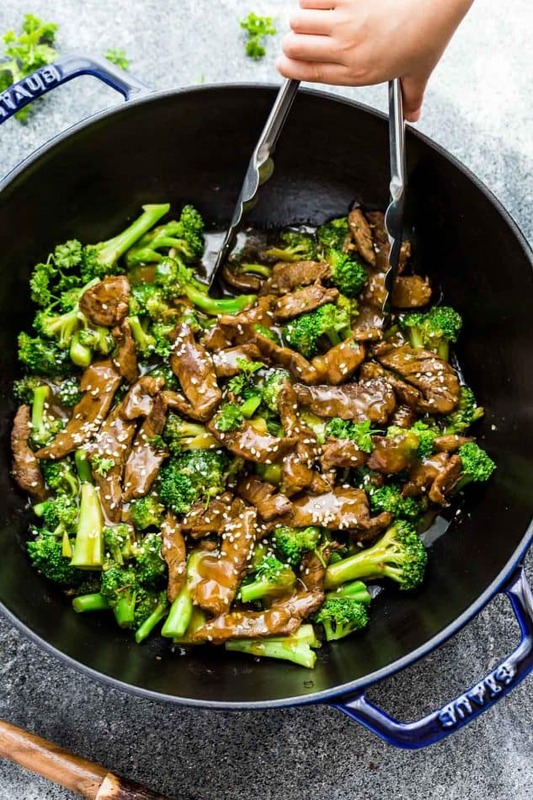 Skinny Beef and Broccoli stir fry – skip the takeout when that craving hits! 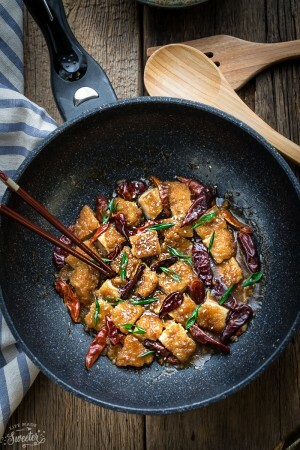 This easy and flavorful dish is healthier and way better than any restaurant version. 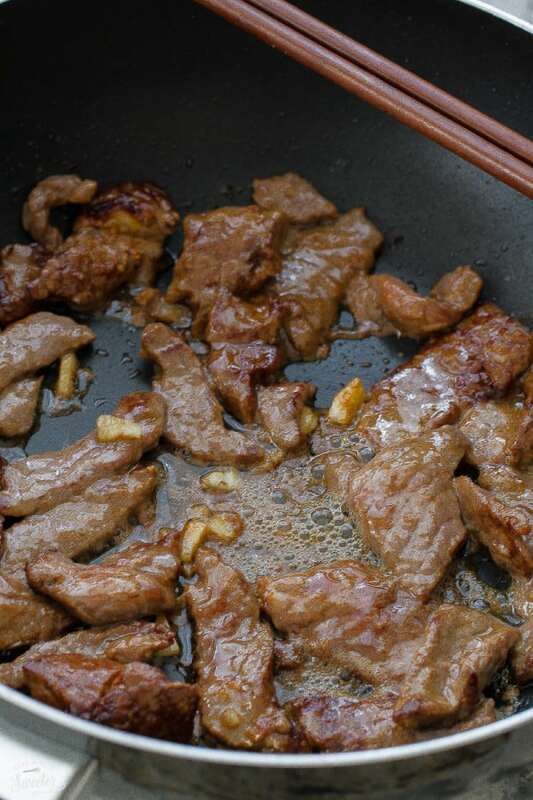 Marinate the beef: In a medium bowl, mix together all of the ingredients for the marinade. Add the beef slices and stir until coated. Set aside for at least 10 minutes. 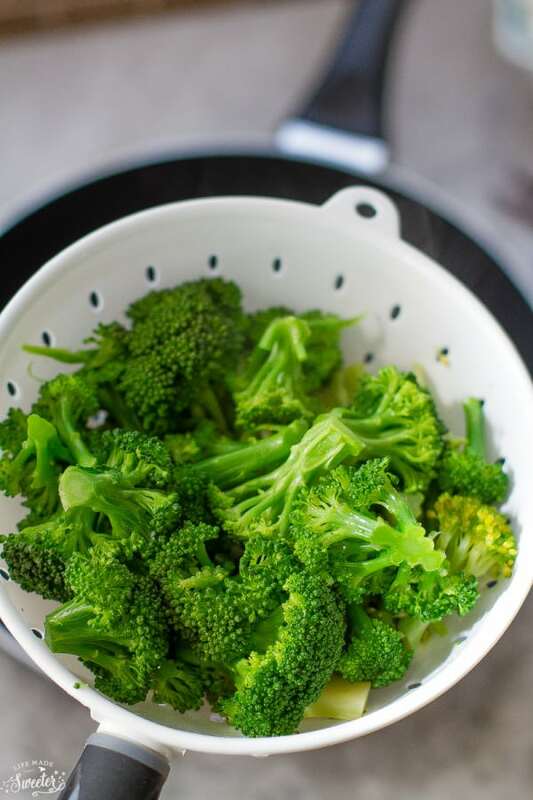 Meanwhile blanch the broccoli: (skip if not blanching) In a large non-stick saute pan or wok on high heat, bring the water to a boil. Add the broccoli florets and cook for about 30 seconds. Drain and immediately rinse with cold water to stop the cooking process. Set aside. Make the sauce: Combine all the sauce ingredients together in a small bowl. Set aside. 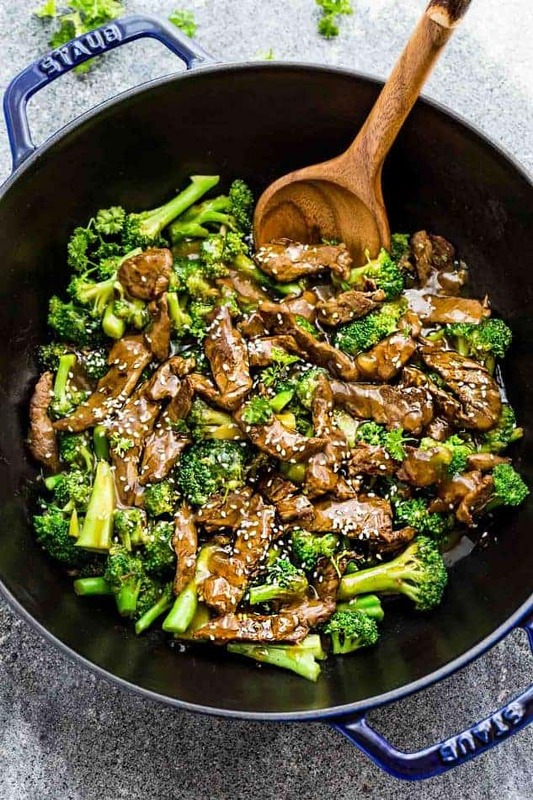 Heat cooking oil over high heat, for about 2 minutes - using the same non-stick pan or wok you used for your broccoli. The pan needs to be hot enough that you start seeing a little bit of smoke rising. Quickly add the beef to the smoking pan and spread the pieces out to a single layer allowing them to sear and brown. Add the garlic and continue cooking until the meat is no longer pink (about 1-2 minutes making sure not to over cook). Pour in the sauce, stirring constantly, until the sauce boils and thickens - about 30 seconds. Add more water if needed to thin out sauce. 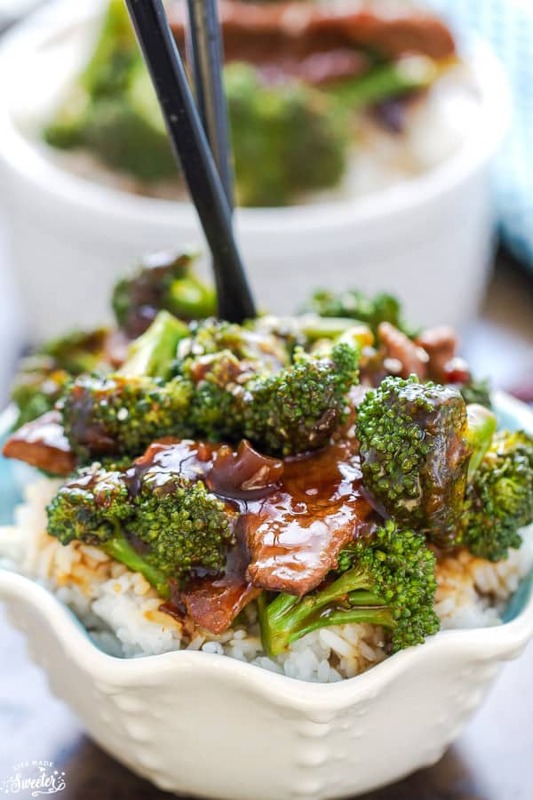 Quickly stir in the the broccoli and toss everything together to coat well. Salt and pepper to taste. 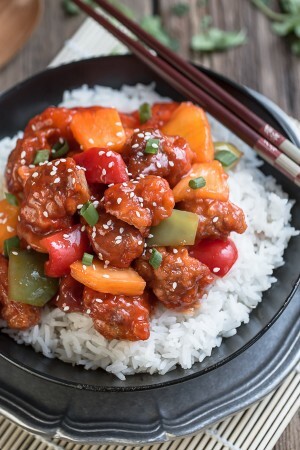 Sprinkle with sesame seeds and chopped green onions if desired. 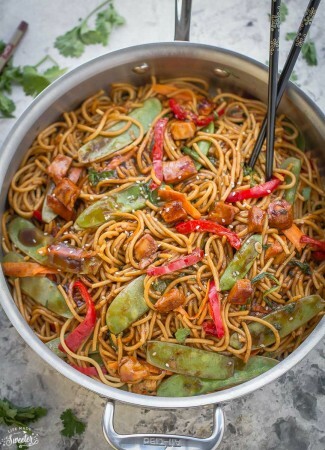 Serve hot over rice or noodles. 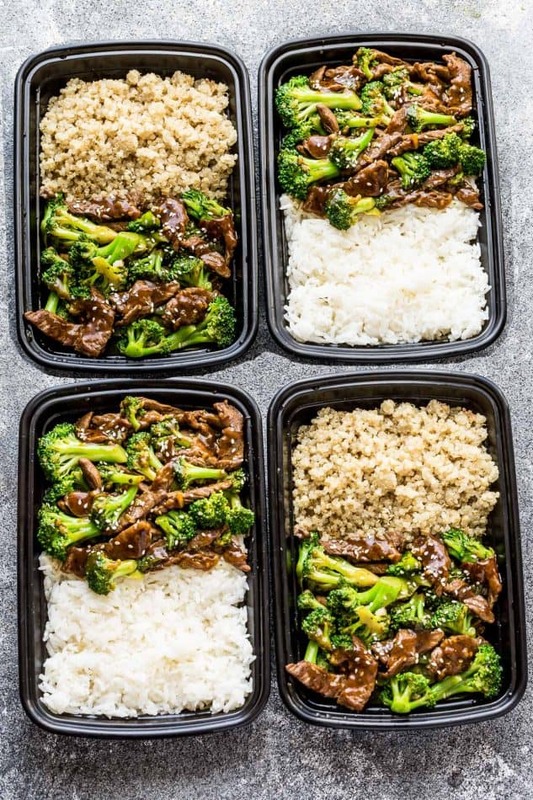 For meal prep:Divide evenly into lunch containers with your favorite carb - rice, quinoa or noodles. 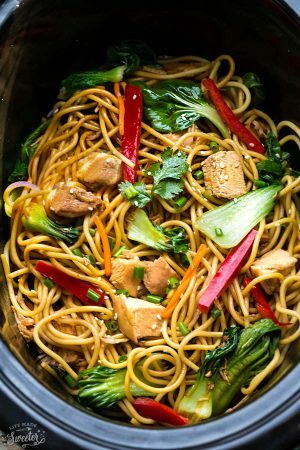 Looking for more easy 30 minute meals? We’ve gathered more new recipes for you to check out this month! 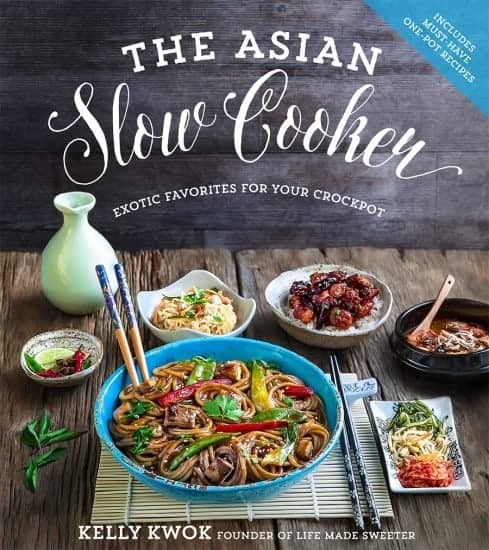 Make sure to check out all the delicious recipes!